Vitamin C, chemically known as ascorbic acid, is widely available in the food supply and also available in supplement form. The amount of vitamin C you should take daily in supplement form depends on the type of diet you follow. If you are healthy and eat a balanced diet that includes foods from all food groups, you will rarely, if ever, need to take vitamin C supplements, according to the Department of Human Nutrition at The Ohio State University. Vitamin C is necessary for the production of collagen, elastin and other structural components of skin as well as bone matrix and other body tissue. 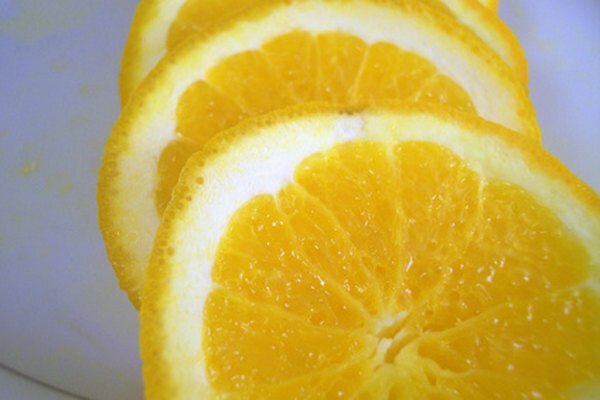 Hormones and other components of the nervous system require vitamin C for normal function. Iron absorption, transportation through the bloodstream and storage is facilitated by vitamin C. Vitamin C is also an antioxidant, which means it protects body cells from a naturally destructive chemical process known as oxidation. In 2000, the Institute of Medicine established Dietary Reference Intakes for vitamin C. The Recommended Daily Allowance for adult women is 75 milligrams per day. If you're also a smoker, the institute recommends that you get an additional 35 milligrams per day to offset the additional oxidative stress on body cells caused by cigarette smoke. The established Tolerable Upper Intake Level, or the maximum amount of vitamin C any adult should get each day before side effects are experienced, is 2 grams, which is equivalent to 2,000 milligrams. Under normal circumstances, approximately 70 to 90 percent of the vitamin C you get is absorbed for use by your body, according to the Institute of Medicine. Vitamin C is equally well absorbed by your body whether it comes from food or supplements; however, once you take 1 gram or more a day, you will absorb less and excrete more. This is your body's way of regulating how much vitamin C is circulating or stored in your body at any given time. Good food sources of vitamin C include sweet red and green peppers, oranges and other citrus fruits, broccoli, strawberries, cantaloupe and mango. If you eat a varied, balanced diet that includes vitamin C-containing foods, you should get as much you need each day without having to take supplements. Since vitamin C is easily lost during cooking, raw or lightly cooked fruits and vegetables are your best sources. Many fruit and vegetable juices also contain added vitamin C.
The use of vitamin C as an alternative medicine to prevent and treat cold viruses has been debated for more than 60 years. A 2007 review of related studies, published in the Cochrane Database of Systematic Reviews, confirmed that vitamin C has never been proven to reduce the number of colds experienced by anyone other than people who are exposed to extreme exercise or cold temperatures.